It seems to me that the Devil is having his way with a number of preachers in the spotlight lately. I’m becoming more aware of an aire of bitterness and vindictivenss between popular theologians who disagree on some debatable issues like the Rapture. The term ‘false prophet’ and ‘false teacher’ seems to be flying both directions. What must the unsaved who are witness to these ego competitions be thinking? The only conclusion I would expect from the unsaved is one of being turned off completely or so confused that they don’t know who or what to believe. God help us. 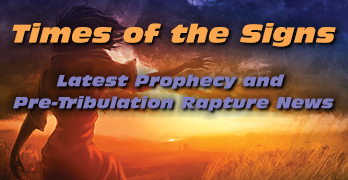 Having just finished reading the Assemblies of God (AOG) “offical position” paper on the Rapture I was so impressed with the concise summary of the position and Biblical references that I though it a good idea to add a link. Jesus answered: “Watch out that no one deceives you. For many will come in my name, claiming, ‘I am the Christ,[a]’ and will deceive many. You will hear of wars and rumors of wars, but see to it that you are not alarmed. Such things must happen, but the end is still to come. Nation will rise against nation, and kingdom against kingdom. There will be famines and earthquakes in various places. All these are the beginning of birth pains. The End Times News headlines have been updated for 2004. Often times we tend to forget some of what has happened over the span of just few short years. The return of Jesus is nearer than ever. God has clearly been confirming a message through those who truly love him and serve him that it’s time to WAKE UP!